Guided Meditation “Shine your Light” | Cascate di Luce ... 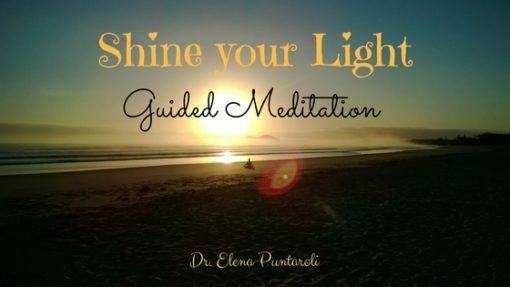 Shine your Light! Be more connected to your Inner Being and to the Energy that creates Worlds and attract synchronistic events and magical opportunities: the more you are in the Flow of life, the more you attract what you want effortlessly. Be more vital, focused and full of Energy, more relaxed and in touch with your Intuition and Creativity, more in the Flow of life and aligned to your purpose.